The mammography machine is being introduced in the country for the first time. 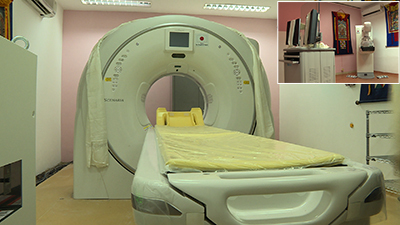 The machine is used for diagnosis and screening of breast cancer. It is expected to help improve women’s health by detecting breast cancer at an early and curable stage. Health officials said the equipment donated today will help enhance diagnostic capacity and services in the national referral hospital as well as Monggar and Gelegphu regional referral hospitals. “The installation of CT scan machines in Monggar Regional Hospital and Gelephu Central Regional Hospital will definitely benefit many heart patients because as of now the patients from these hospitals, who require CT scan, has to travel all the way to JDWNRH,” Dr. Pandup Tshering, the Director General, of the Department of Medical Services, said. The government of Japan has been continuously providing assistance to the health sector through procurement of medical equipment and ambulances among others.